The career strategy course you did not think that you need, but do. Finding a job or excelling in your career in the age of the internet and our highly networked society is different than at any time in decades past. This video series delves into several key areas giving you instantly useful information that you can readily apply. Watch the video series for yourself. You probably only know a fraction of what LinkedIn can do for you and the true potential that LinkedIn provides. Most profiles are skimpy with few a connections, little branding, and just sit. The sad truth is that unless you attend a profilessional course on how to use LinkedIn, you are hurting your career and personal life; yes, your personal life. This module delves into LinkedIn fundamentals and techiques opening your eyes to the true power and things that you can do simply. Think what you can do if your salary would increase and you would not have to worry about your career and finances. Do you dread a job search? Is interviewing not your thing? This video series teaches you proper interviewing and salary negotiation techniques. The methodolgies today are not the same as in decades past. Everybody has a brand and everybody has a social media presence. The lack of something is still a something. Companies do take notice. There is a delicate balance between privacy and being out there. No matter how old you are, you must know how to use social media to your advantage. This module is a must on branding in the internet age. The Career Strategy Fundamentals video series is your introductory course touching on the basics. The Career Strategy Boot Camp is our in depth no holds barred training series, where we hold nothing back. The course consists of 21 modules that you can watch and rewatch at your leisure. Get an introduction here in this video. Just because you may have a job, graduated college, use social media, or have friends does not adequately prepare you for real life knowledge on how to get and prosper in your career. You are either a doer and leader or you are a follower and victim both professionally and personally. Your job does greatly impact your personal life; no matter what others may say. This Career Strategy Fundamentals video series introduces you in a concise all meat fashion to what you will need to succeed. There are 4 videos running an aggregate total of over 2 hours 15 minutes. Each video covers various sections. Watch at your own pace, take notes, and put into practice what you learn. We spent the time and effort so that you do not have to. Watch this video series for yourself! Once you watch and love the Career Strategy Fundamentals video series, watch our incredible in depth training that currently offers 21 different modules and goes even more in depth. This eBook tells the story of a job seeker, who through trial and tribulation discovered many of the landmines that job seekers run into. Read what happened to her and avoid the pitfalls. 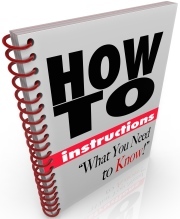 This book also offers tidbits and other advice. 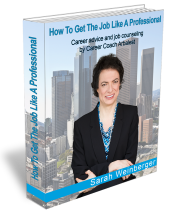 This eBook is a must read for any person just starting off in their career and for seasoned professionals contemplating a career jump. Do not reinvent the wheel, as that is a waste of time and energy. Finding a job is different now than ever before. Learn how to find a job in the digital age from a master. This concise all-meat no-fluff free video series dispels misinformation and tells you what you need to know.